This somewhat historic bar at the corner of Castro and Market owes its fame to being the first gay bar in America with plate glass windows. While this might seem rather pedestrian today, in 1972 when this bar was founded, the idea of being seen by passers-by not to mention the police, was quite daring. 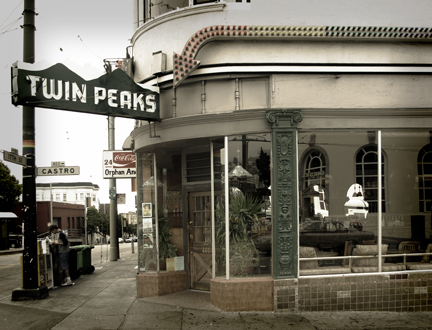 Just a few doors down from the famous Castro Theater, the Twin Peaks Tavern is considered by many as being ground zero of the Castro District. Friendly and comfortable with both a straight and gay clientele this bar now only offends those morally opposed to fern bars.